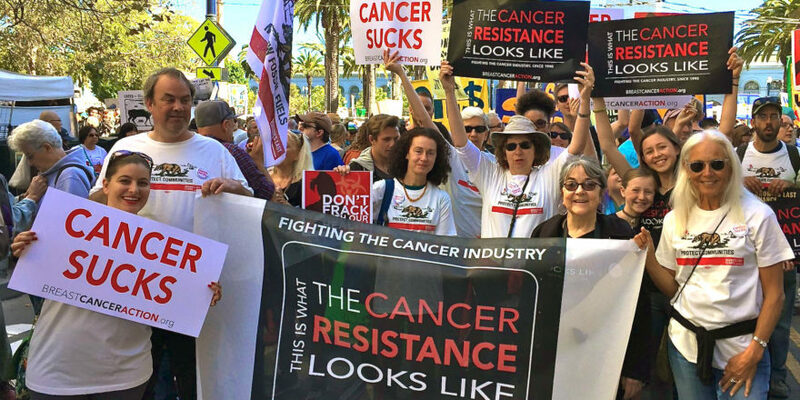 San Francisco, CA: Barbara Brenner, Executive Director of Breast Cancer Action (BCA) and a respected leader in the breast cancer movement, will step down as Executive Director at the end of 2010. Brenner was BCA’s first full-time Executive Director, and has served in that role since 1995, leading the organization to prominence as an outspoken and unwavering advocate for women’s lives. Breast Cancer Action is the leading watchdog in the breast cancer world, and the only national breast cancer organization that refuses to accept funding from companies that profit from or contribute to the breast cancer epidemic. The organization provides information to anyone who needs it and is dedicated to making sure that patients’ interests come first at the Food and Drug Administration (FDA). BCA also engages people to work together to eliminate the involuntary environmental exposures that increase the risk of cancer, and is committed to reframing the conversation about cancer “disparities” to address the social, economic and racial inequities that cause them. During Brenner’s tenure, BCA became the respected, go-to organization for breast cancer information and advocacy that it is today. In every state of the union, and in many countries throughout the world, BCA works to end the breast cancer epidemic by carrying and amplifying the voices of people with and at risk for breast cancer. Cappio said the BCA Board of Directors will work with BCA staff and other community stakeholders to conduct a search for Brenner’s successor and to ensure a smooth transition to new leadership. Recruitment for the position is being handled by m/Oppenheim Associates. Breast Cancer Action celebrates its 20th anniversary of compelling activism in October 2010.